This Tuesday, the annual TED conference kicked off in Vancouver, BC. TED has become a media juggernaut, with 2,700 talks viewed more than 11 billion times in 116 languages. And as TED's audience has gotten increasingly global, so have TED's speakers. Conference programming has also seemed to shift away from product launches and wonky tech demos to presentations on provocative issues like climate change, race politics, and poverty (still with cameos from Elon Musk and the like now and again). The conference kicked off with talks by TED Fellows, a network of 400 scientists, artists, activists, entrepreneurs, doctors, journalists and inventors who collaborate across disciplines to create positive change around the world. Dr. Essam Daod and Dr. Rola Hallam, both 2018 Fellows, are two such change makers. Daod, a psychiatrist and founder of Humanity Crew is addressing a pervasive, but oft-overlooked, issue facing many displaced populations: their mental health. Hallam, founder of crowdfunding platform CanDo, is working to stabilize war-torn regions like Syria so the necessity of fleeing decreases. 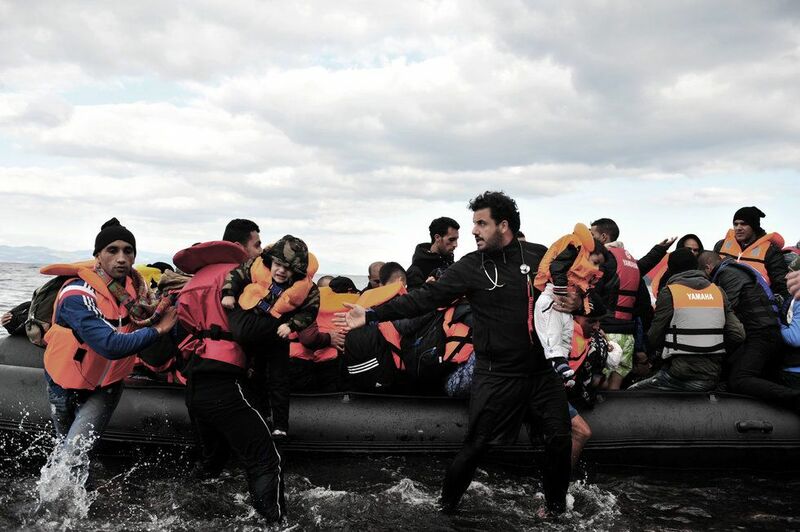 PAPER caught up with both visionary doctors separately on the state of the refugee crisis and what everyone, all over the world, can do to help. Dr. Daod, you've been aiding refugees since before you were addressing their mental heath. Daod: I was a surgeon for three years. That was my entrance ticket to rescue boats and the world of humanitarian aid. In the first five minutes of my first mission, I gave CPR to a dead body — a dead Iraqi woman. I did the CPR because I needed to give something to the family. They were waiting three or four hours for a doctor, and they couldn't accept that I was arriving just to tell them she was dead. That was when I knew that mental health was important. Talking about the trauma refugees experience along with a need to address their mental health seems intuitive. So why is the mental health of refugees almost always a secondary consideration when it comes to providing aid? Daod: The issue of mental health is marginalized in our daily lives everywhere, even in the West. So, imagine the Middle East. You believe mental illnesses refugees experience, like PTSD, can be overcome, and to some extent prevented. Daod: Given the massive number of refugees, the best course of action is prevention. We need to do interventions [at the time of the displacement]. This is why we create "mental health lifeguards;" we work on the boats and on the beaches. Interventions can prevent the onset of PTSD in the future or lessen its prevalence. People are already there handing out blankets and bananas, now we have to train them to do psychological first aid. What are examples of the "psychological first aid" you administer? Daod: Refugees need to feel safe and that they can trust you. The base of trauma is mistrust. You trust the world, your community, your government, and people to respect your life, and they don't. You need to say, "Welcome, we won't take you back to where you came from." You tell them, "You'll be on the shore of Greece in a refugee camp until you have your papers, and then you'll move to a housing program." You give them information and stability. If I start yelling to take food, take blankets, and go, even the rescue experience can be traumatic. In the future, refugees will do a mental split — the boat and the sea is bad and good things will come later. We need to give them good memories, stored in the brain so if they remember the sea, they remember me and the team, the feeling of warmth, and the love we give them. They may remember the trauma and the fear, but it will be a fight [in the brain] at least. What can people do to help you in this work, and refugees more broadly? Daod: We need to start acknowledging that when there is a crisis — whether it's a hurricane or a war — the rescuers we send should be trained on mental health support. We need to understand that human beings are body and mind, not just body. If Dr. Daod is focused on the mind, Dr. Hallam is focused on body, and in Syria, where the daily stakes are life or death, her focus is necessary. Her crowdfunding platform CanDo is bringing much-needed resources to local humanitarians. Why did you found CanDo and how'd you get involved in this work? Hallam: I think I was born a doctor. I felt very profoundly called to help everyone have access to healthcare; I think healthcare is a fundamental human right. And after the revolution turned into the war and the catastrophes we know now, I did the only thing I could and joined the humanitarian response. You were working in Syria? Hallam: Yes, I worked with various Syrian-led organizations and helped build six hospitals in the north of the country. It was such a profound experience and looking at the humanitarian system up close and personal was a real eye-opener. I didn't know how much local aid workers and local medics did. Growing up in the West, you think it's the UN and UNICEF going around and saving the world. And they do good work, but what none of us know is the huge amount of work that is done by the locals and how very little support and recognition they are getting. I was seeing people die in front of me, not because I didn't have the knowledge, skill, or ability but because I didn't have the tools, medicines or equipment I needed. I took a time out, did my research and learned this is a global problem and as a result millions of people are suffering needlessly. And the problem is local humanitarians are way under-resourced? What is the divide between massive NGOs and small local orgs? Hallam: The first thing to say is there is a huge recognition among humanitarian community that change needs to happen and more aid should go to local humanitarians. Unfortunately the pace of change is super slow. Most of the funding goes to 10 of the largest aid agencies. They get the funding, they contract another international charity, who maybe contracts a local charity, and so there's massive wastage, and only a fraction of the aid budget arrives where it needs to be. Were trying to say, where there is local capacity, locals should be getting the funds to do the work. I imagine some pushback is around accountability; the massive orgs are heavily scrutinized. What about these local orgs? Hallam: At the end of the day, accountability is important to anyone who is a humanitarian. My experience is local groups are very accountable, but often they don't have the tools and resources to do it to standard that is required by a traditional system. So what I'd love to see is big charities become mentors and supporters, and start complimenting their work. What we do at CanDo is source local groups, we do the assessing and vetting and due diligence to ensure these are the most impactful groups and then we support their development. 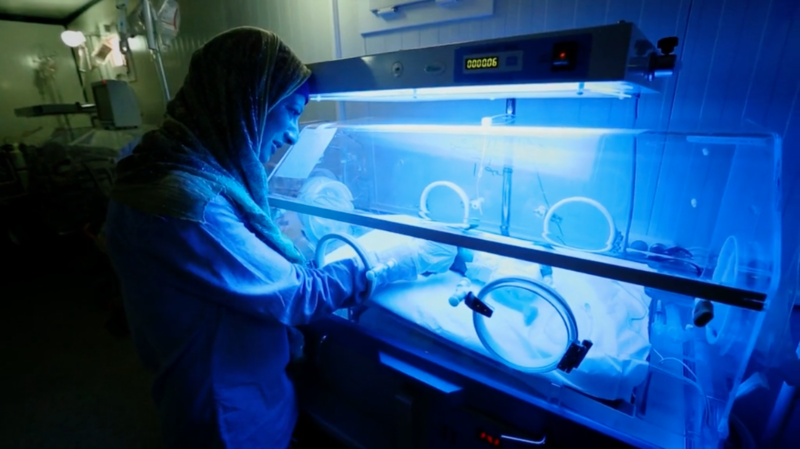 Hope Hospital, in North Aleppo, Syria, is first project CanDo funded and the first crowd-funded hospital ever built. What are some success stories from that project? Hallam: That isn't just about the success of funding the hospital, it's about the success of humanity and collective action. It only happened because 5,000 people from around the world came together. We may not be able to stop bombs, but we can save lives. And the system right now is not empowering individuals to understand they can make a difference. We see catastrophes exploding on our screens and everyone wants to help, but there is no mechanism to know who to trust or how to send money. We raised the money in 12 days, took medical equipment, IDA set up hospital in three months, and they've since treated over 15,000 children. News that comes out of Syria is incredibly politicized. How do you think it's possible for people connect to what's really happening and to the people who are most affected? Hallam: I'm trying to solve this piece of the puzzle by setting up a crowdfunding platform that shows the faces of humanitarians, videos of what supporters are helping to build, and children they're saving. The crowdfunding space is, for lack of a better word, crowded. What do you say to someone who is reluctant to give because this feels like a faraway problem? Hallam: Whether we like it or not, we are all interconnected. Either we wake up and realize it or we forever doom ourselves to repeat mistake after mistake. In Syria, medics have been killed and hospitals have been bombed. A huge part of the refugee crisis is there is no infrastructure left in the country. So we need to address that head on. And the second part of this, that effects the whole world, is if we allow hospitals to be bombed in Syria that gives the wrong message. That tells militaries and terrorist groups that hospitals are OK to bomb, that's not OK to normalize. That's a bleak reality. What gives you hope? Hallam: My colleagues, the local doctors and nurses get me out of bed every day. They've had their hospital bombed six times and pick up the phone and say we want it built for the seventh time. They don't need to stay but they do because they believe in a better tomorrow. They have hope and that gives me hope.